See our Baader shop for full range of Baader products. No dust in your camera any more. Use filters without vignetting. 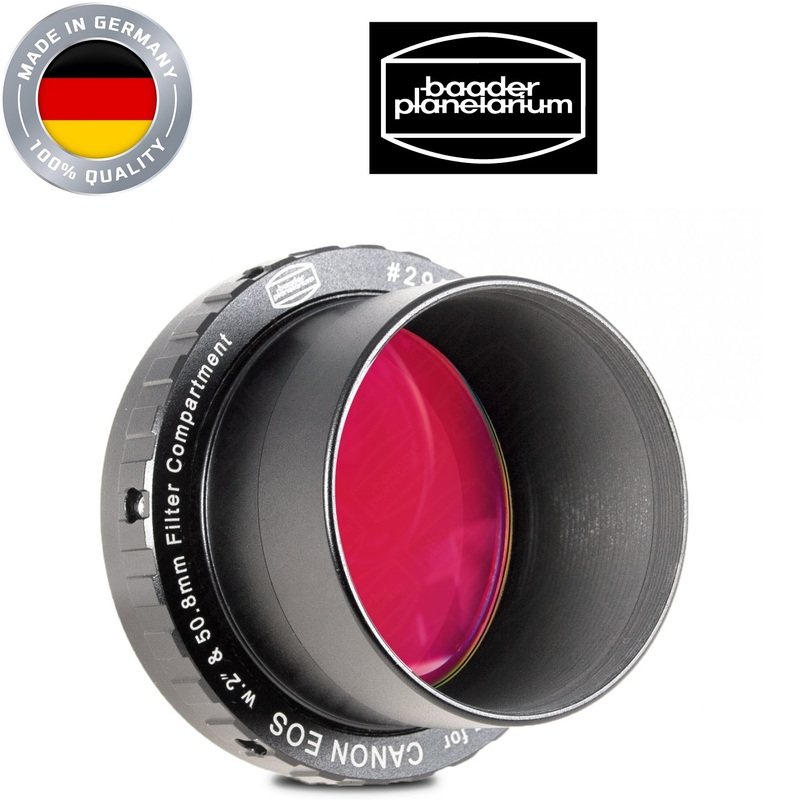 The new Baader protective Canon T-Ring is precision milled to fit your Canon body as if it were a solid piece of metal. This T-ring features three methods for adapting onto your telescope: T-2 (photo)thread, M48 (Astro-filter)thread and ultrawide 2 inch Nosepiece for the largest available unvignetted aperture into the camera worldwide. 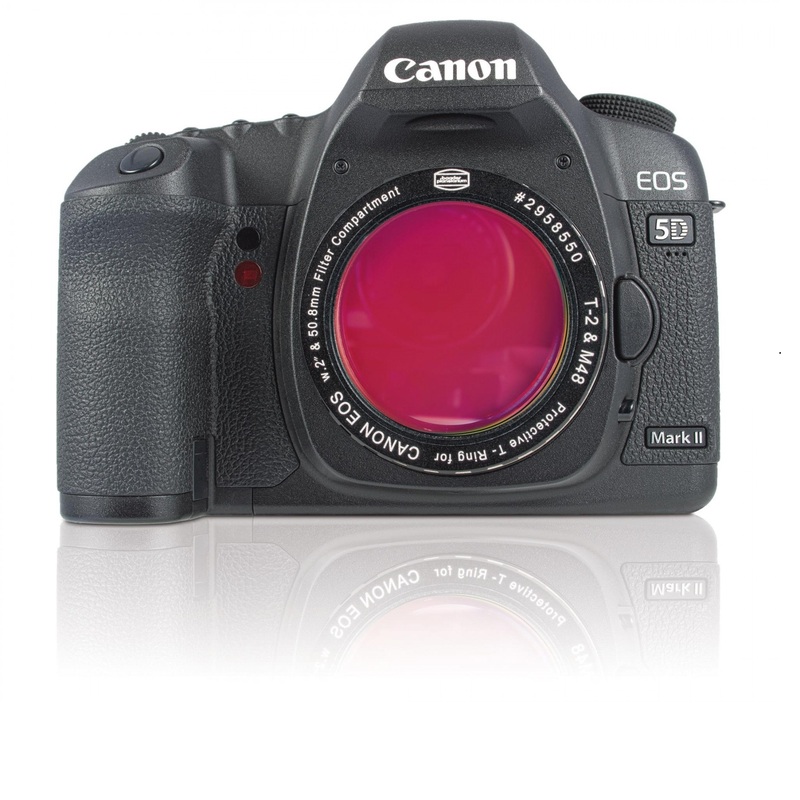 All 2 inch cell mounted and 50.4mm unmounted Baader-filters can be fastened into the Protective T-Ring to take pictures through any kind of filter while using various camera lenses and any kind of telescpe. Outer Connection (Lens Sided): Barrel, 2"
For more information about, Baader Protective Canon EOS T-Ring With H-alpha 7nm Filter website. This product was added to our catalog on Friday 30 December, 2016.